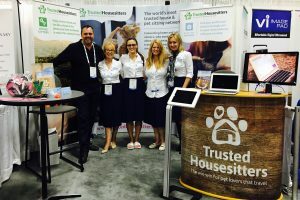 In this podcast episode, I spoke with Angela Laws, Social Media Manager for Trusted Housesitters Ltd., a company based in Brighton but connected to pet lovers all around the world. Angela has been with Trusted Housesitters since it started 8 years ago with just three people. Now they’re employing 58 and Angela assures me that hers is the best job in the world. As Social Media Manager, a key part of her job is managing Trusted’s community of pet lovers, which she describes as a special group of people—particularly empathetic, supportive and engaged. Social media, to many people, seems to be the domain of the young but Angela knows that things work best within a trans-generational dynamic. Experience counts! The key in a successful business is teamwork where everyone has something different to bring to the mix. If Angela’s age is greater than other Social Media Managers, she wears it as a badge of pride. She’s evangelical that anyone at any age can learn new skills. At the bedrock of your strategy, you’ve got to know your product and your audience. Angela’s passion for pets is evident and it goes to the very core of her job and is the key to connecting with her audience. She answers every comment Trusted Housesitters gets on social media which can be a 24/7 committment but worth it. Her advice? Develop your content with flair and creativity and use social media platforms to reach out and maintain the connection with your community, which is the ultimate customer service. Social Media Management is all about communication. 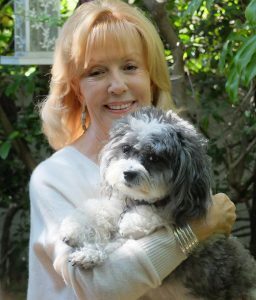 What Angela does for Trusted Housesitters is a continuation of the PR and Marketing work she’s done throughout her previous career working for big brands. The difference is that technology offers more opportunities to reach today’s target audience. You know your product and your audience and you’ve got communication skills—just add the social media tools available today. How to develop your social media skills? Angela doesn’t recommend any single source for learning about social media because each business is different so one size does not fit all. She recommends you look around and explore various sites to find what resonates. If you know your product, you’ll find what works for you but you might start by checking out the basics on YouTube or Social Media Examiner. To find out more about Angela's community check out the Trusted Housesitters website. Whether this is the first episode you've come across, or if you've listened to all 91, I would love to hear your feedback. Reviews on iTunes are hugely important to the success of the show, so I would be incredibly grateful if you were able to spare a minute to leave some honest feedback there. Thanks so much if you are able to help. Click here to leave a review.